Well we are finally at Davis and the difficulty of the voyage down certainly lived up to the hype. Overall we arrived 10 days behind schedule. 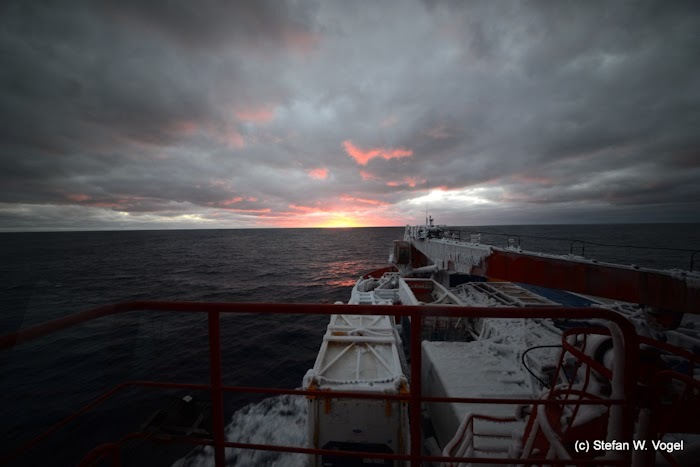 To begin with, immediately after departing Hobart we were faced with a procession of low pressure zones which bought the threat of 12 meter swells and difficult sailing conditions which didn't sound like much fun and could prove a baptism of fire for everyone on board. 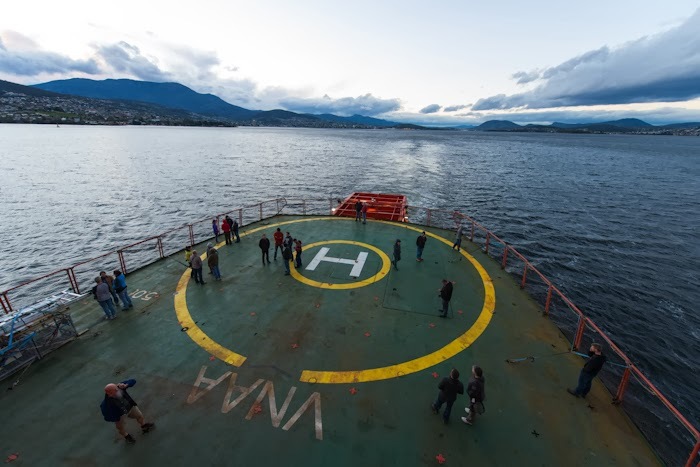 Luckily our skilled captain and crew managed to bypass most of the weather by heading directly south from Hobart which although made it more comfortable, it unfortunately slowed us down by a couple of days and was the beginning of our delay laden trip. Although I was lucky enough not to get sea sick, getting around the ship was difficult with it rolling and pitching as much as it was. Some nights, the only way to avoid rolling out of bed was to grip on to the headboard and wedge your feet between the mattress at the end of the bed. The rough seas also claimed quite a few intrepid sailors meals and the sea sickness medication managed to 'zombiefy' the rest. Needless to say the first week or so was memorable for all the wrong reasons. 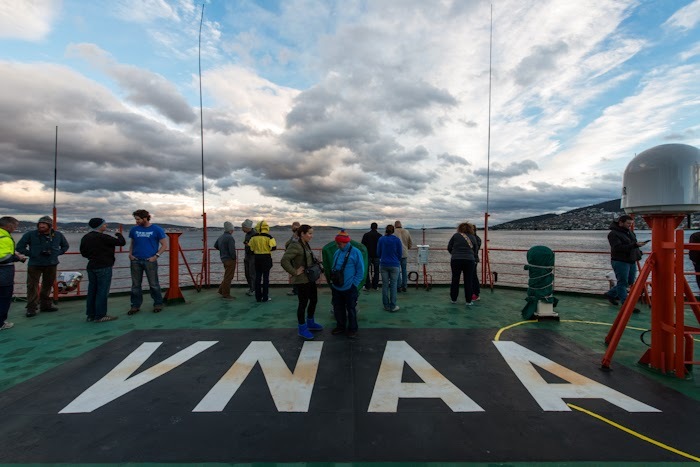 After our high sea hijinks we began to approach the sea ice edge which meant the swell calmed down and everyone was keeping an eye out for their first Iceberg and the abundance of Antarctic wildlife! 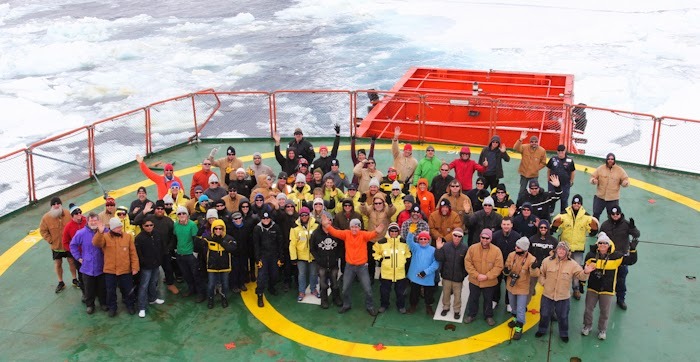 It didn't take long to find out that the rumours of the thickness of this year's ice were true. It was an extremely hard slog. 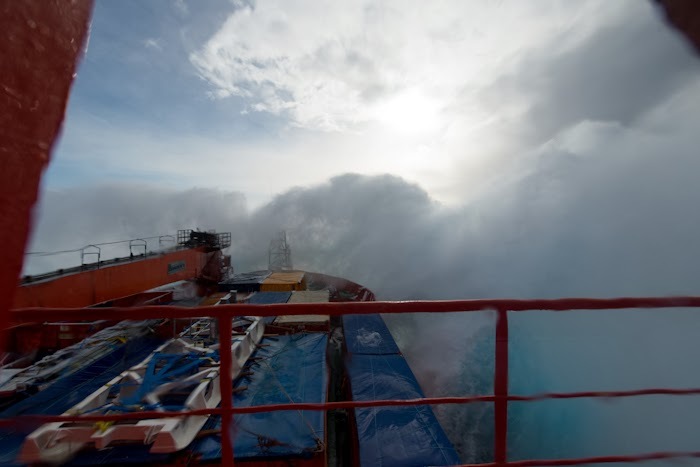 The ice which ranged in thickness from a light film on the surface all the way to 2m+ was covered in meters of fresh snow which had the effect of dampening the blows from the icebreaker and causing the ship to bog down and make ice breaking an extremely difficult task. We had flyovers from a Basler DC3 fixed wing aircraft from Davis and also used our helicopters stowed on board to try to find thin ice and leads we could use to make our efforts more fruitful. 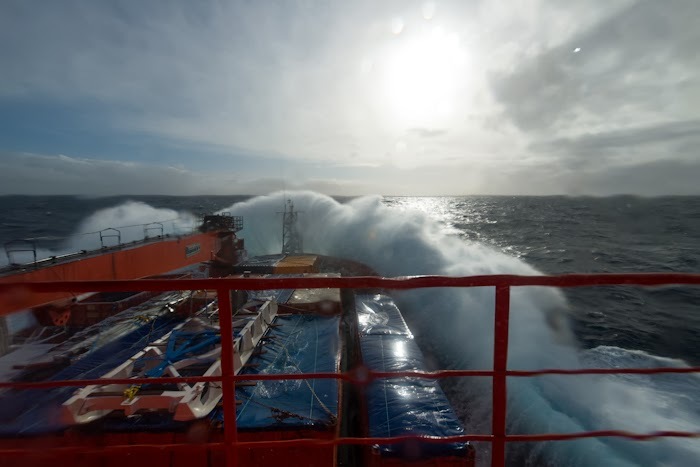 A copy of our voyage track can be found here http://its-app3.aad.gov.au/proms/public/schedules/voyageTrack.cfm and trust me, the close up views we had access to on the ship were far more depressing! 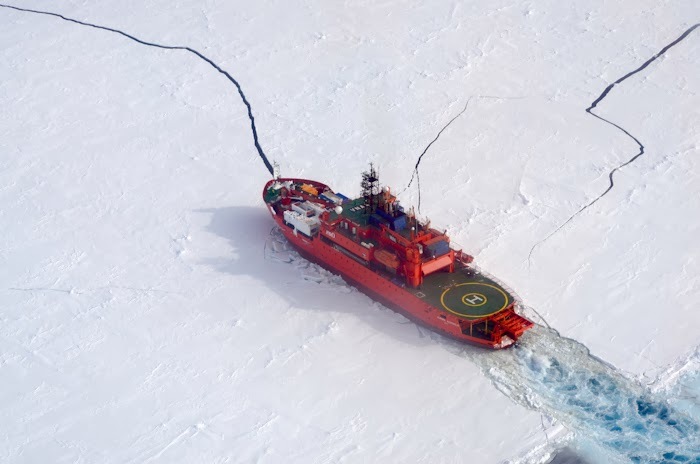 Some days the drift of the ice (a speed of up to 1kt) would actually push us further away from our destination. 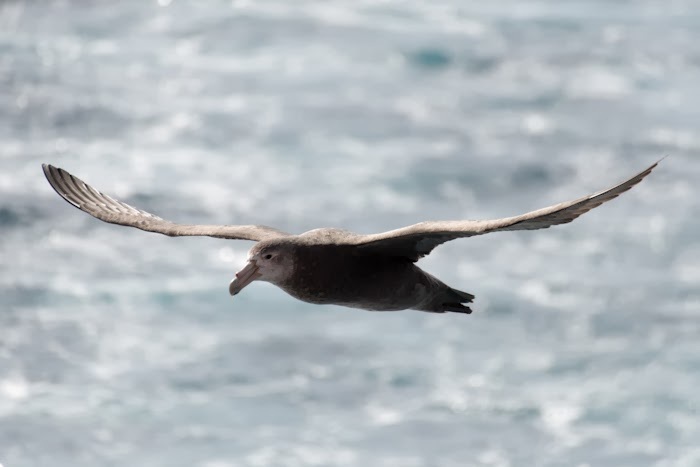 A Giant Petrel. Quite an interesting bird that rivals the Albatross in size but spends quite a bit of time on land scavenging. An Antarctic Petrel. These are substantially smaller than the 'giants' but are equally as interesting. 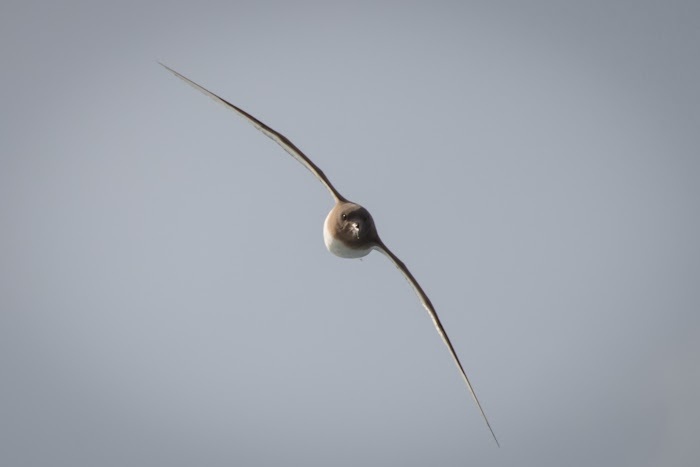 Despite their size they seem at home in open water, gliding around like miniature Albatrosses! 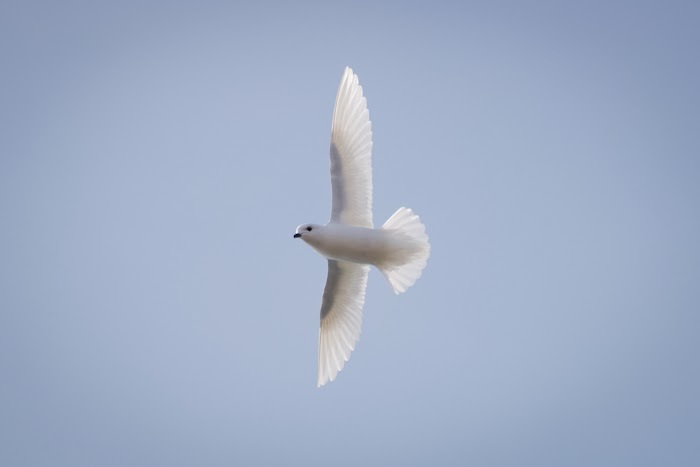 And possibly one of the most amazing birds I've seen, A Snow Petrel. These are mainly found amongst the sea ice and shore of the continent. 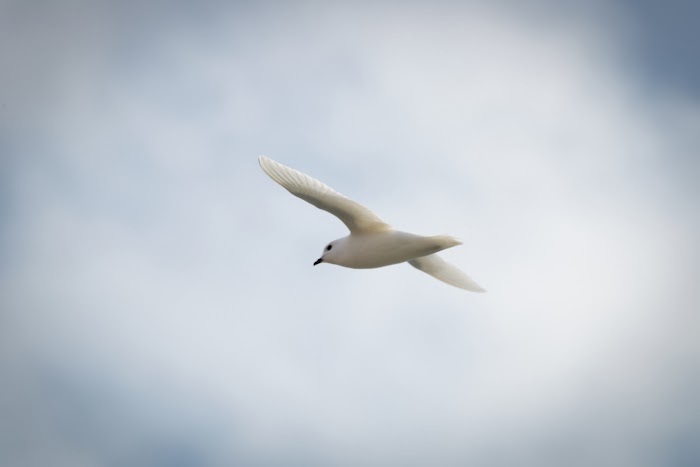 These are the only bird species to be ever seen at the South Pole which makes them the most 'southerly' bird!